Here are travel & sleep enhancements. Here’s help for health and sleep with special savings for the next two days. Two of the greatest problems that modern technology life has brought into our lives is extensive travel and sleep disorders. Institute of Medicine’s Committee on Sleep Medicine and Research Board on Health Sciences Policy, Harvey R. Colten and Bruce M. Altevogt Editors outlines some of the health risks that sleep disorders bring. Lack of sleep is a huge problem that goes beyond health. Our judgement, our investing, our business, our personal communications can be very negatively affected. Yet so much of the modern world seems to distract from good sleep… beginning with travel. Evidently sleep problems are everywhere. Well-publicized incidents of air traffic controllers and others sleeping at inappropriate times point us to science that suggests most people need at least eight hours of sleep a night. There seems to be an epidemic of under-sleeping these days. This year alone, seven air traffic controllers have been caught sleeping on duty. In two well-publicized cases, pilots were heard nearly pleading with control towers to guide them in. (The planes landed safely.) The most recent incident occurred Saturday, when a controller was observed sleeping at a Florida tower. (He did not miss any calls from pilots.) In response, the FAA has adjusted controllers’ schedules and mandated that additional controllers be assigned during sleepy midnight shifts. Bob Hope Airport in Burbank, Los Angeles/Ontario International Airport in Ontario and San Diego International — among 27 airports nationwide with a single controller on duty during the midnight shift — will be assigned more controllers. Of course, they’re not the only workers who get so fatigued that they fall asleep on the job. In 2007, a videotape was released of guards sleeping on duty at a Pennsylvania nuclear power plant. In 2008, two pilots flying a small commercial jet from Honolulu to Hilo fell asleep and overshot the airport by 15 miles before returning and landing safely. Less dangerously — except, perhaps, in terms of his image — Vice President Joe Biden was seen either briefly nodding off or meditating as he sat in the audience at President Obama’s speech on the deficit last week. A sleep study cited in the New York Times on Sunday says the overwhelming majority of people need eight hours of sleep. Not seven. Eight. And most of those who get less and think they’re operating fine on it turn out to be too sleep-deprived to realize how sleep-deprived they are. It’s tough to make sleep a priority when juggling job responsibilities, family obligations, gym workouts and social engagements. This is why I am pleased that our long time friend and health counselor Candace Newman… the Essential Oil Lady is offering essential oil formulas that helps ease the rigors of travel and improve sleep. Merri and I have known Candace for decades… she has traveled with us through the Andes, studied with shamans and used her essential oils. We give them to our family as our most precious gifts on birthdays and at Christmas. The first thing I reach for in the morning are her oils to anoint my feet. Candace is celebrating the 19th anniversary of her business and offering two special oils at a discount through tomorrow. The first special is a Sweet Sleep Set. Candace writes: Lavender from the Latin word “Lavare” – to wash and clear away. Lavender is the #1 essential oil for relaxation and sleep. 1. Sit on the side of your bed when ready for sleep. 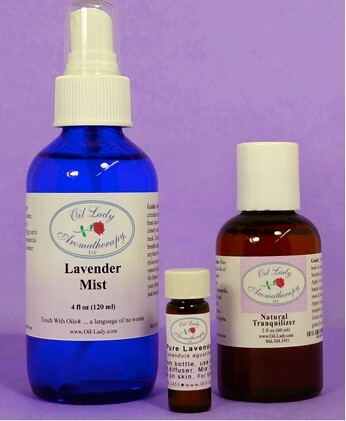 Lavender Mist your face & head in big sweeping clouds of mist; then closely mist the back of neck at the hairline. This action serves to wash away the day…then mist your pillow. 2. Put 1-2 taps of pure Lavender Essential Oil on a cotton ball and tuck in your pillow. 3. With a little Natural Tranquilizer in your palm: apply some to your nose, temples, back of neck and shoulders. Lay down and do a slow, gentle, circular belly rub to relax the mind, comfort the body and soothe the soul. See more on Candace’s Sweet Sleep formula here. The second special is a Healthy Travel Set. Candace writes: Traveling is challenging to our health due to the air & environment. Drink good water … eat, sleep & exercise for your good health. Carry items in the clear pouch while on airplanes. Cars, buses & boats too! 1. Keep a Lavender-Peppermint Mist with you for the menthol lift of fresh air and healthy breathing. It also lifts the foggy-head-feelings notorious with travel. Mist head, face & back of neck at hairline. 2. Inhale from the bottle of pure Lavender Essential Oil for balancing the central nervous system and for the stress and nerves of travel. Inhale the pure Peppermint Essential Oil for motion sickness, jet lag, digestion, and sinus & head relief. 3. Apply Ear/Nose/Throat Oil to the nose, ears, sinus areas, throat, chest or neck. Put a few drops on a piece of cotton ball for your ears on planes & for sleep. Learn more about the Healthy Travel Pack here. Candace Newman. Candace has an excellent video that explains more about the power of essential oils you can access here. Candace always points out that her recommendations do not prescribe, diagnose, or make any claims to cure. Aromatherapy can bring great comfort and compassion to difficult challenges in our lives. 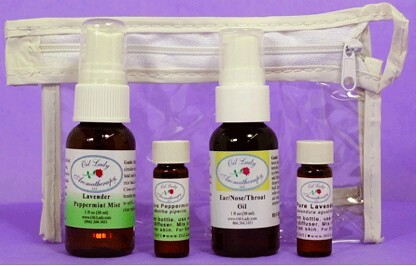 Her products are for external use ONLY and pure essential oils should not be applied directly on the skin. Modern technology has brought incredible new benefits to our lives. However with the benefits come some problems and responsibilities as well. Gain help in balancing out negatives of travel and sleep disorders with essential oils. Enjoy savings on these products for the next two days. We use them not only for the sleep and travel comfort benefits but to have clear, untroubled minds. At our June 24 to 26 International Investing & Business course, we’ll introduce how to develop extra income with a strategic partnership distributing essential oils and with 11 other businesses. We have one place left at the seminar.